Experience unique culture in the vicinity of Tokyo. Immerse yourself in the oldest Japanese theatrical tradition. Perform on an actual Noh stage. 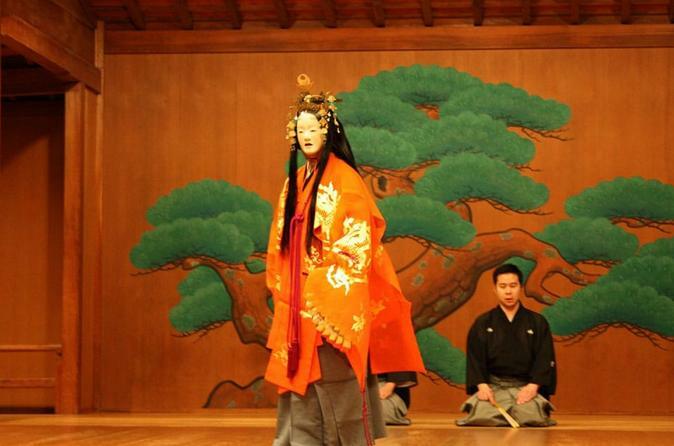 Learn about Japan’s oldest theatrical art, ‘Noh’. Watch and shadow the unique movements of a Noh actor, and have the thrilling experience of performing this art on stage. Noh is one of Japan’s oldest theatrical art that has survived a practice of over 1,300 years. In traditional performances, the art features an all-male cast who perform different roles by wearing different kinds of masks. Through this tour you get to bend the rules and take a close up look into the life of a Noh player. By talking with the actors, imitating the movements, Japanese culture will really come alive for you on stage! Even in just four hours this rare, uncommon experience will show you a side of culture that most Japanese people don’t have a chance to try.